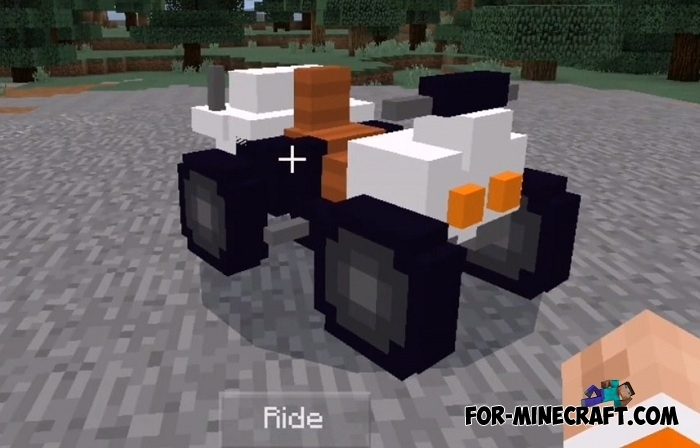 Have you seen sports and luxury cars from the Cars pack addon for MCBE? What about getting an all-terrain vehicle capable of going where a player will be out of breath slowly walking and climbing? 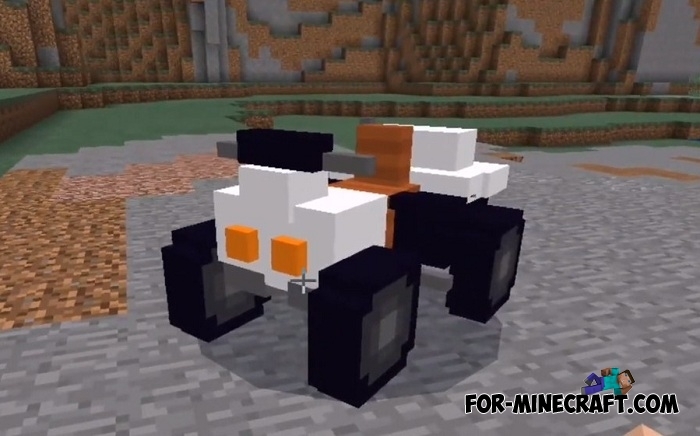 The ATV addon adds a white version of a quad bike for any surface, whether it's snow or sand. It is so all-terrain travel capability that you can even go through the mountains, it does not matter for this vehicle. If you compare ATV with other vehicles, then this has quite significant advantages about which below. 1. To comply with a real all-terrain vehicle, this one has a high cross. No matter where you go, even high mountains will be an easy trip for you. 2. 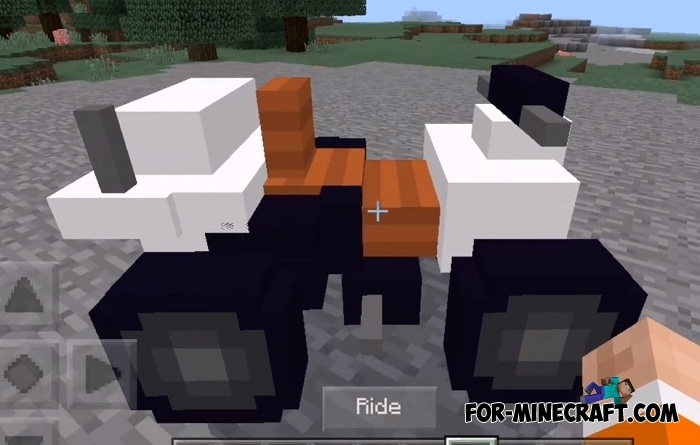 The appearance and engine sound. Turn down the volume in advance as this quad bike is very noisy. It can be heard being in tens of meters from it. 3. Driving an ATV does not require special skills or obtaining a driver's license. You just find it (spawned in caves) and sit down. Then you are free to go in any direction, it has no barriers and restrictions (except water, of course). How to install the ATV addon?